Other benefits include complete systems integration and customisation, along with visibility of the reporting and compliance status of any given fleet. This new application is one example of how the EMAR project, scheduled for completion at the end of 2014, aims to make European maritime transport more secure and more competitive. Maritime transport is a major economic engine, facilitating international and interregional trade and ensuring the security of supply of energy, food and commodities. In fact, almost 90 % of the EU external freight trade is seaborne, while each year more than 400 million passengers embark and disembark at European ports. Over the next ten years a substantial increase in both international and intra-EU seaborne trade is expected. One of the key challenges facing this busy sector is the sheer complexity of navigating not only the seas, but also the necessary legal obligations imposed on operators and vessels. The overall goal of the EMAR project is therefore to support the development of European capabilities, strategies and policies that facilitate an efficient and sustainable waterborne transport system. The i-Ship software tool is one example of this. 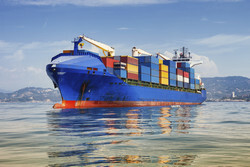 The EU believes that the next generation of e-Maritime infrastructure needs to provide not only technological services – including connectivity and security – but also shared information and knowledge, in order to better manage collaboration between public and private parties. In recognising the critical role of ICT for productivity and innovation – and in anticipating a new era of e-business solutions based on integrated ICT systems and tools – the EMAR project is key to the achievement of the strategic goals of the EU Maritime Transport Strategy 2018. This strategy identifies the ability of the maritime transport sector to provide cost efficient maritime transport services as critical. Furthermore, the long-term competitiveness of the EU shipping sector will help to generate value and employment in the EU, both directly and indirectly. The EMAR project, which has received EUR 3.7 million in EU funding, is also closely aligned with the objectives of the TEN-T programme, which aims to develop an efficient trans-European transport network (TEN-T). The TEN-T programme is the main instrument for EU financing of transport infrastructure developments including Motorways of the Sea, which rely on advanced ICT integration technologies. The TEN-T can therefore be seen an important route to the actual application of solutions developed through the EMAR project.